Secondary characters have a tough time of it in romance. You want them to be interesting, surprising, well developed, but at the same time you don’t want them taking up too much page-space at the expense of the two (or more, if it’s that kind of story) people whose romance it is. That constraint makes a vivid supporting character all the more impressive to me, and here are a few who particularly impressed this year. I’d wondered about her ever since she was first mentioned in The Spymaster’s Lady, and she didn’t disappoint. Competent women in romance kind of make me go weak in the knees, and competent, no-nonsense, unsentimental women in positions of authority, removed from the romantic drama, are like salt on a chocolate-covered caramel; the piquancy you maybe didn’t realize you needed to go with that sweetness. Three cheers for a heroine’s former lover who’s now happily in love with someone else! I really enjoyed the depiction of a man and woman with a history, a strong mutual regard, and a shared commitment to a higher purpose – and no lingering attraction or jealousy or anything of that sort. It was a refreshingly grown-up kind of relationship. 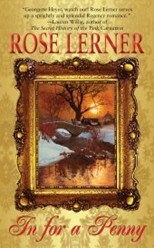 Cheerfully unembarrassed by her Cockney accent, overlarge pearls, or the source of her husband’s fortune – a brewery – she also has a sincere appreciation for fine art and Byron’s poetry. And her level-headed affection for her daughter was one of the sweetest things in Romance this year. A small-time grifter with the looks and poise of Grace Kelly, Vanessa dumped her kids with their grandmother and disappeared, but has cast her long shadow over them all the way into adulthood. She’s one of those awful characters who has just enough self-awareness (not to mention style) to keep you from writing her off completely. He felt fire burning through his veins, incinerating every logical thing he might say. Sorry? he thought. She was sorry? “What about dropping us off with Margot?” His voice burned, rising up through his throat from some unknown furnace in his gut. She’s constantly saying maddening stuff like that, getting up Carter’s (and our) hopes that she might be redeemable and then letting us down again. You want to slap her, and at the same time you keep hoping she’ll show up in another scene. Okay, that’s a plenty long post on supporting characters! Stay tuned to hear about some of my favorite leading characters from 2010! 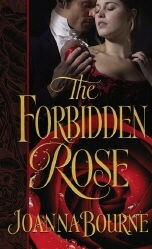 Rather than making a list of the romance novels I liked best in 2010, I thought I’d concentrate on a few specifics. We’ll be talking heroes, heroines, supporting characters, and stray scenes, but today let’s start with the titles and covers that knocked my socks off this year. The title so nice they rolled it out twice! Now to content. Right out of the gate – mistress! – you know it’s gonna be hot. But wait! What’s this? Mistress… by mistake? Aha! Conflict: if it happened by mistake, then one or the other of the parties probably isn’t fully on board. And just how the heck does someone get to be a mistress by mistake, anyway? I’m hooked before even reading the back-cover copy. Gorgeous, gorgeous, gorgeous. Can I tell by looking that this is a romance? Nope. Doesn’t matter. I see this picture and I want to know this woman’s story. 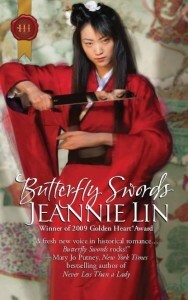 Especially the part where she starts taking care of business with that sword. But my lord, that color. I am powerless to resist. It’s especially lovely in the background, where there’s a striation effect that suggests fireworks, or a really dramatic sunset. And I like these models. The woman is actually just how I pictured headstrong Violet, both in features and attitude. And the guy looks totally in thrall to her headstrong ways. So it’s the rare face-cover that works for me. This one shouldn’t count, probably. 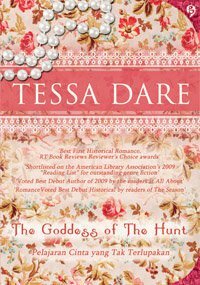 But right around the time I’d made up my mind on my favorite covers of the year, Tessa Dare posted a photo of the new Indonesian edition of Goddess of the Hunt. And wow. If I ever have an office of my own, I’d like to paper the walls with this. Did I miss an excellent title or cover? Let me know. And stay tuned for supporting characters I loved in 2010! The manuscript provisionally known as A Gentleman Undone has gone back to my agent, and unless I did something massively wrong in my rewrites, it will go on to my editor. Then more rewrites, I expect. But it’s given me a bit of breathing room, finally, for blog posts! So I’m working on a series about some of my favorite odds & ends in romance this year. Stay tuned: first up will be titles and covers I loved in 2010.